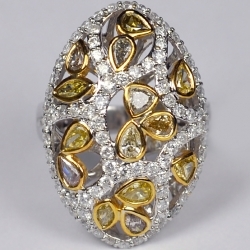 Elegant and simple in design, this stunning 14k white gold ring with plenty of oval and pear-cut fancy diamonds in the center is a real work of art. 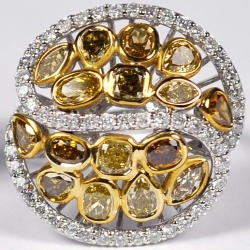 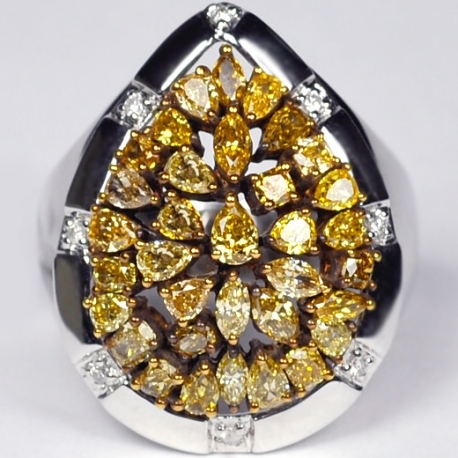 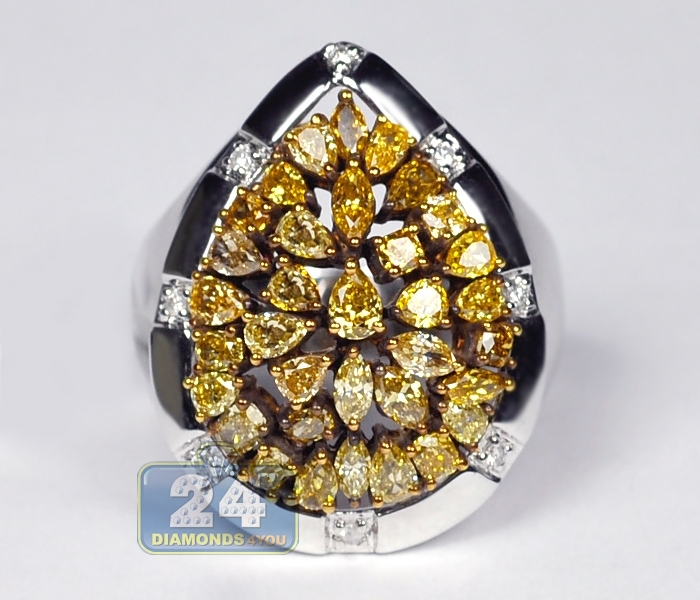 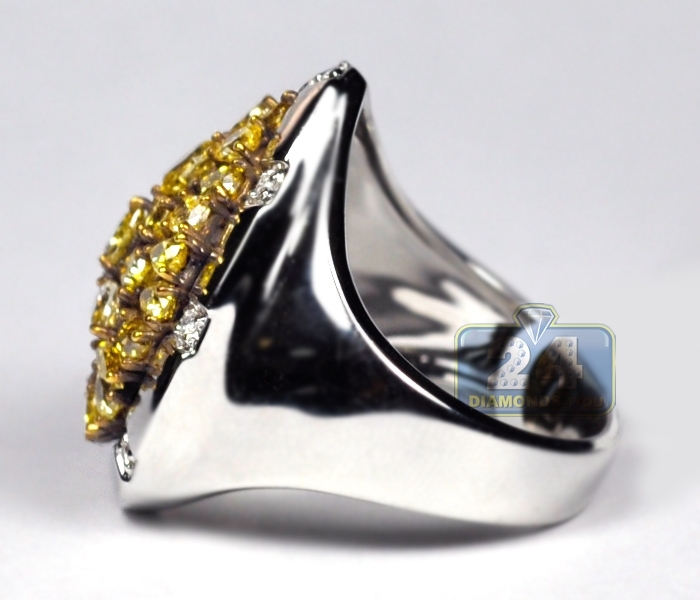 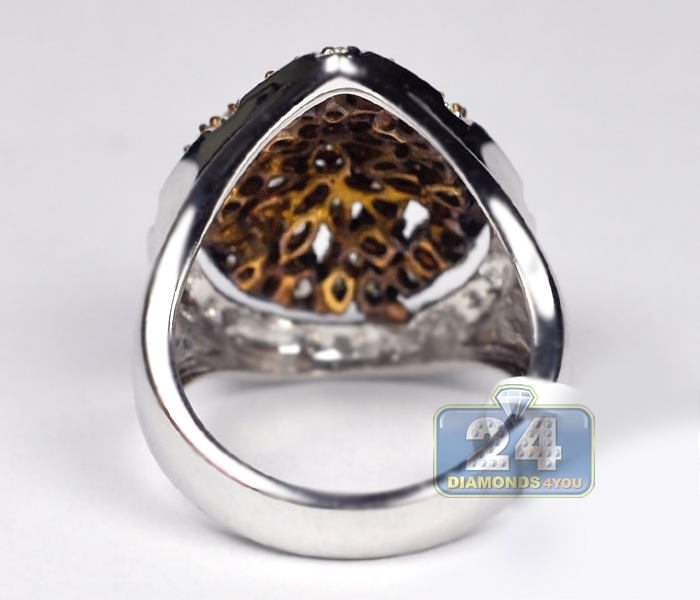 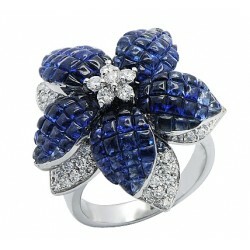 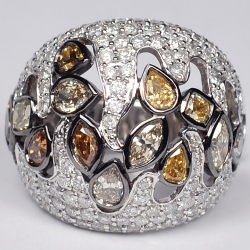 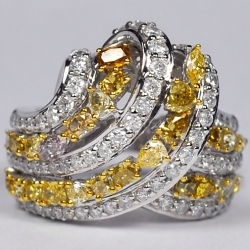 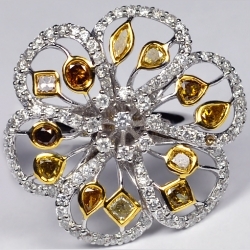 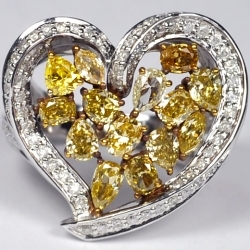 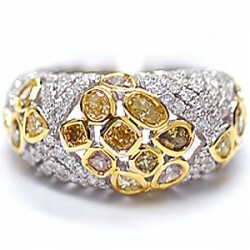 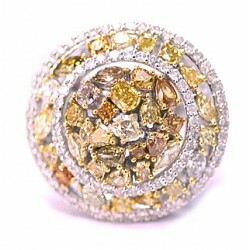 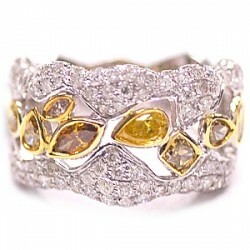 Our stylish cluster ring with genuine fancy color diamonds is a breathtaking and rare-to-find piece. 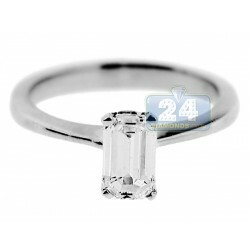 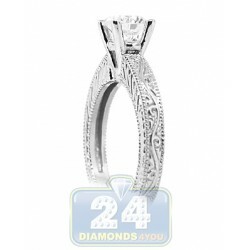 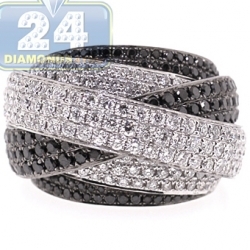 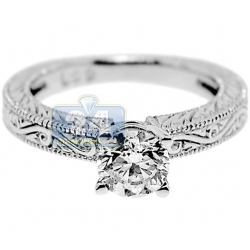 Beautiful white diamonds are gorgeously accenting the ring on each side. 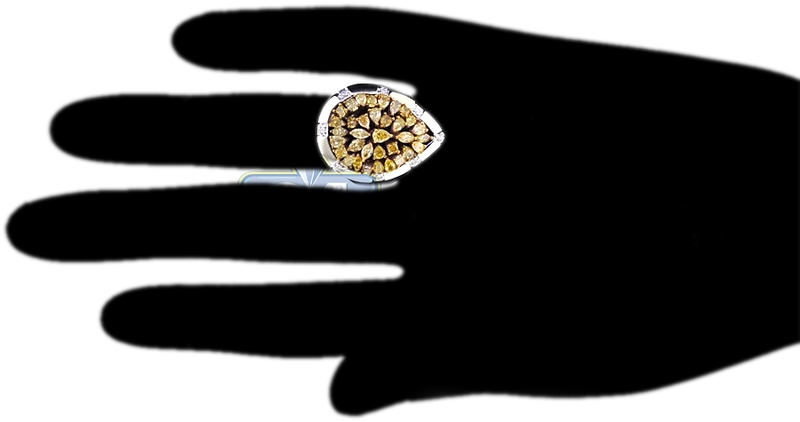 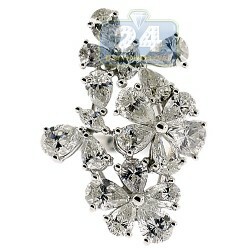 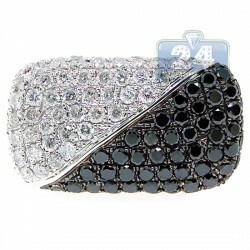 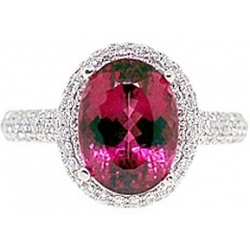 Draw everyone's attention to your lovely fingers with this unique jewel!